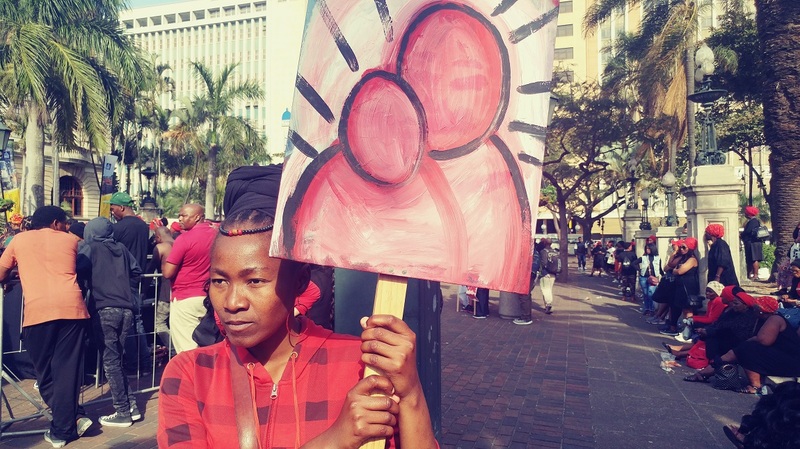 On Wednesday scores of women and gender non-conforming people marched in the streets of Durban to the City Hall over violence against women and children as part of the total shutdown to mark the start of women’s month. I’ve experienced both child abuse and domestic violence myself, so we are here today to send a strong message to ourselves as women as well as the government, the media, the corporate and everybody else that we’ve had enough. One life lost is one too many and I don’t think people are taking it seriously enough because we happen to be women and maybe they think we are so inferior that our lives don’t matter. Today we saw a movement growing but a lot still needs to be done to hold those in power accountable and also to educate women about their rights. 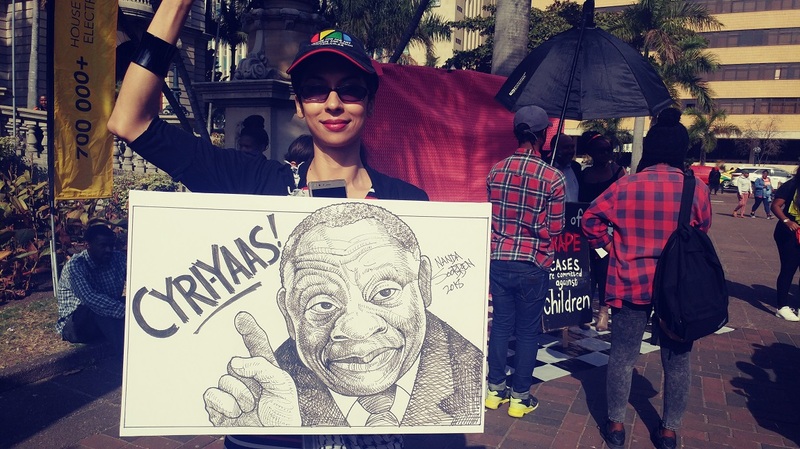 Lindiwe Thanjekwayo-Mazibuko of the South African Lawyers Association told the Daily Vox that they were in support of the movement and urged the justice system to take a stand against perpetrators. â€œWe are saying enough is enough and say to the justice system it must stand and attend those cases because in most cases domestic violence cases are thrown out of court because of insufficient evidence. 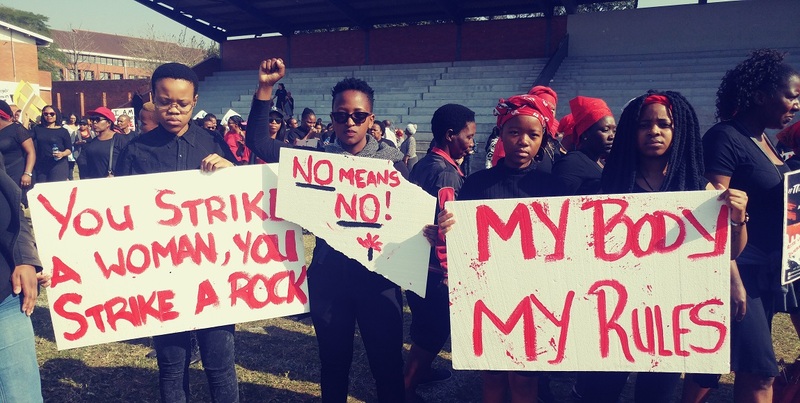 We say today, Amandla (power) to the women,â€ Thanjekwayo-Mazibuko said. I saw this as a chance for me as a woman to be one voice with other women from all walks of life. I stay by myself and each time it gets dark outside the fear gets to me because anything can happen. I know that when I walk outside till late it’s not a woman or a child that will harm me but a man, because of a patriarchal society that we are living in. Knowing that I’m not alone is amazing, they are me and I am them. We are standing together today as one today as without seeing colour but to fight for our rights. Zanele Ncwane provincial of KwaZulu-Natal Commission for Gender Equality said this is the commission’s mandate to advocate for gender equality. â€œWe have been advocating and submitted numerous reports to parliament asking for a gender-based violence strategy that has a specific budget. I am happy today to see women up in arms and saying enough is enough,â€ she said. I am here as an individual and a mother; and also as a representative of my gender. We need to start stepping up and speaking out to say enough is enough. 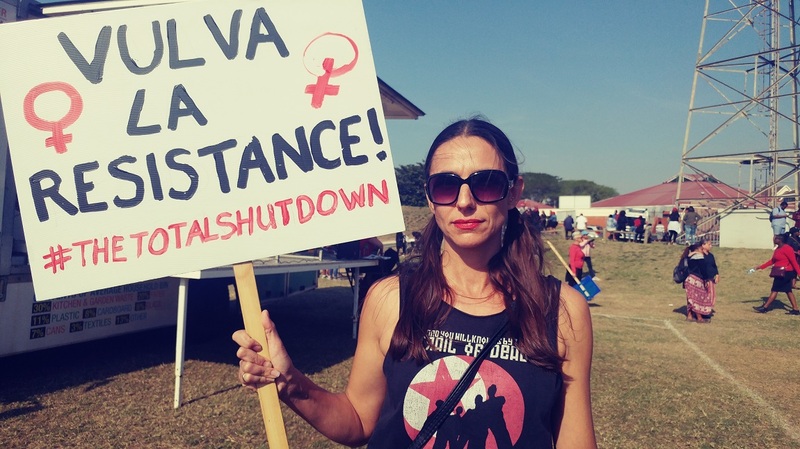 As South African women it’s also important that we start educating our children, we need to make sure that men stand up as well because this patriarchy has been around long enough. If we want to raise children that respect each other, we will start respecting each other as opposite genders and generally. 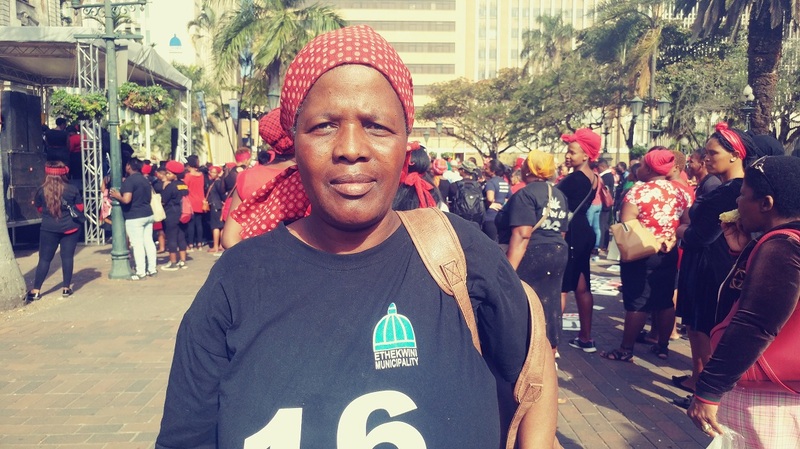 Chairperson of the organising committee in Durban, Beverley Motlhabani encouraged women to speak out against abuse and violence. â€œPlease don’t be afraid to take the phone and call the police if something happens to you at home, or if you hear something unusual from your neighbour’s house,â€ she said. I am a mother of daughters and sons and I am here today to say no to abuse and killings of our children, elderly women and children abuse. We want to say enough is enough, we must all be up in arms and fight against the scourge of violence against women and that of drugs in our communities. We can’t turn a blind eye to drugs and alcohol because they are huge factors that contribute to these atrocities.